A4 B7 Saloon & Avant - (2005 to 2007). S4 B7 Saloon & Avant - (2005 to 2007). A4 B6 Saloon & Avant - (2001 to 2004). S4 B6 Saloon & Avant - (2001 to 2004). We choose our suppliers carefully to make sure that our OE quality switches are as close to the original product as possible. Audi A3 8PA SPORTBACK 5 Door - 2005 To 2012. We choose our suppliers carefully to make sure that our OE quality switches are as close to the original product as possible. Replaces OE part numbers4F0959851A 4F0959851F or 4F0959851G. Fits to all passenger and both rear doors. Audi A4 B8 Saloon / Avant - 2008 To 2015. Audi Q5 (8R) - 2008-2017. Audi A5 (8T) - 2008-2017. For Audi A6 4F2, 4FH, 4F5, C6 (2004-2011). For Audi Q7 4L (2006-2014) SUV. For Audi A3 8P1, 8PA (2003-2014). For Vehicle : Audi and Volkswagen. 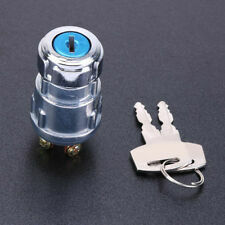 With safe lock button, avoids faulty operation. 1 x Window Power Switch. Q7 (4L) 2006-2009. A8 (C6) 2004-2010. A6 (C6) 2005-2011. 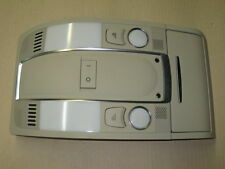 This is not an OE main dealer part however is of a very high quality and is covered by our 12 month warranty. 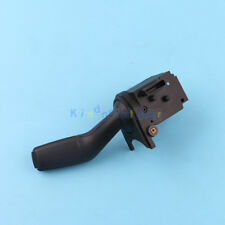 Applicable models: For Audi A6L C6 Q7 S6 S8. material: plastic. Item: gear shift knob gaiter (1 piece). Audi A4 B7 S-Line, production year: 2004-2008. Audi A4 B6 S-Line, production year: 2000-2004. Wait for a parcel. Q7 (4L) [2006-2015]. Although not a genuine dealer part all our switches are manufactured to exacting standards and are also covered by our 12 month warranty. Audi A4 B8 Saloon / Avant - 2008 To 2015. Although not a genuine dealer part all our switches are manufactured to exacting standards and are also covered by our 12 month warranty. A6 (C6) [2005-2010]. Although not a genuine dealer part all our switches are manufactured to exacting standards and are also covered by our 12 month warranty. MK4 Golf 1998 - 2006. Caddy 2004 - Onwards. Beetle 1999 - 2001. This handle is situated on the side of the front seat used to release the seat so it can be tilted forward for access to the rear. 1 x Right Seat Tilt Release Handle. Skoda Fabia I. Skoda Octavia I. But we haven't influence and don't take responsibility for them. To other countries we can also send, but this costs will be different and to avoid misunderstandings You should ask about them before You buy. AUDI A4 B6 B7 00-07 ELECTRIC WINDOW SWITCH MASTER CONTROL PANEL 8E0959851B NEW. Condition is New. Dispatched with Royal Mail 1st Class. Audi A4 B7. Audi A4 B6. But we haven't influence and don't take responsibility for them. To other countries we can also send, but this costs will be different and to avoid misunderstandings You should ask about them before You buy. 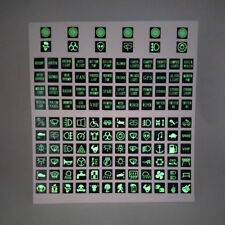 Part numbers (4F0919070, 4F0 919 070 ). Q7 2007-2009. A8/S8 2004-2010. Arosa 1997 - 2004. MK4 Golf 1998 - 2006. Ibiza 2002 - 2011. Bora 1999 - 2005. Caddy 2004 - Onwards. 2 New Seat Tilt Release Handles. This handle is situated on the side of the front seat used to release the seat so it can be tilted forward for access to the rear. Search Term:Car Auto Automobile, Door Driver Side, Electric Window Control, Panel Power Switches, Front Right Side, Features:It is a front, left driver side electric window control.Easy plug and play design.Perfect tool that is useful,helpful and so practical.Perfectly fit for your car and make your car more noble.High technology and exquisite workmanship.It can be a great replacement for your worn out or broken electric window control.Description:It has been through testing standards for safe using.Simple to operate and convenient to use.It is so practical and professional for your cars using.It is very durable and lightweight. Specifications: Size 13*4*5cm Package Size 15*6*6cm . Audi A4 B8 Saloon / Avant - 2008 To 2018. 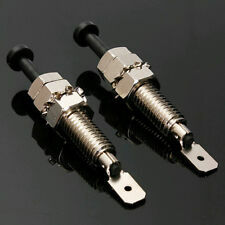 Ideal upgrade for the early plain back switch. Although not a genuine dealer part all our switches are manufactured to exacting standards and are also covered by our 12 month warranty. Arosa 1997 - 2004. MK4 Golf 1998 - 2006. Ibiza 2002 - 2011. Caddy 2004 - Onwards. This handle is situated on the side of the front seat used to release the seat so it can be tilted forward for access to the rear. Audi INFO Radio Sat Navi Display Screen Monitor A4,A5,Q5 B8 B9 8T0919603G 6.5"
AUDI Q5 2009 -2014 (display), ID 8T0057603F. AUDI Q5 2009 -2014 (display), ID 8T0057603A. 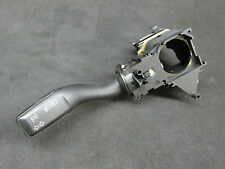 AUDI Q5 2013 -2014 (display), ID 8T0057603G. AUDI Q5 2009 -2014 (display), ID 8T0057603E. AUDI Q5 2009 -2014 (display), ID 8T0919603A. Part Number： 4F1927225A. Audi C6 A6 V6 3.0T. Audi C6 A6 V6 3.2L. Audi C6 A6 Quattro V6 3.2L. Audi C6 A6 Quattro V8 4.2L. Audi C6 S6 V10 5.2L. Fits to LHD cars only (EU). We choose our suppliers carefully to make sure that our OE quality switches are as close to the original product as possible. Replaces part number 4B0959551B. Audi A6 C5 Saloon / Avant - 1998 To 2005. For VW, Golf MK4, Bora, Passat & Audi A4. If there are any problems, then we will try to resolve them for you. No fitting instructions are provided with the product. We have many years experience in the automotive components and fasteners industry. Skoda Fabia. Original Air Condition A/C Pressure Sensor Switch 1K0959126E/5K0959126. Audi A3 TT Q3 Q7. Switch Code: 1K0 959 126E. Replace Part Number:1K0 959 126 A/1K0 959 126 D/5K0 959 126. Condition: New. AUDI A4 B8 (ESTATE) 2007 - 2016. FITS FOR: AUDI A4 B8 (ESTATE) 2007 - 2016. NEW STEERING COLUMN SWITCH WIPERS ONBOARD COMPUTER . Parts are HIGH QUALITY. 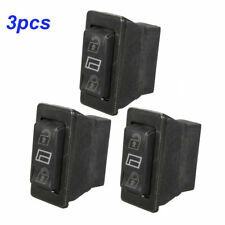 OEM Part Numbers : 8E0959851B, 8E0959851D, 8ED959851. FITS FOR : AUDI & SEAT. Fitting Position : Driver Side / Front Right Side. QYANTITY ： 1 PIECE WINDOW SWITCH. We will reply you within24-48 hours. 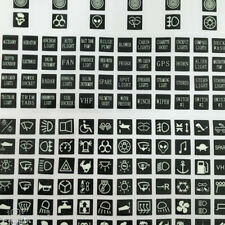 Manufacturer Part Number: 4F0919069. A6/S6 C6 2005-2008. Q7 2007-2009. Interchange Part Number: 4F0 919 069 A. Condition: New, OEM. MK4 Golf 1998 - 2006. Caddy 2004 - Onwards. Beetle 1999 - 2001. 2 New Seat Tilt Release Handles. This handle is situated on the side of the front seat used to release the seat so it can be tilted forward for access to the rear. Shell Color: Black; Interchange Part Number: 4FD959851C,4F0959851F. Picture is for reference only but normally shows precise item. For Audi A3 8P1, 8PA (2003-2014). For Vehicle : Audi and Volkswagen. For Audi A6 4F2, 4FH, 4F5, C6 (2004-2011). For Audi Q7 4L (2006-2014) SUV. With safe lock button, avoids faulty operation. 1 x Window Power Switch. Trim Colour Paint Colour Code: Air Conditioning or outside UK Mainland witch is not include If you are not happy for whatever reason, we want to know about it. Scottish Highlands. Scottish Ireland. A6 (C5) [1998-2005]. Although not a genuine dealer part all our switches are manufactured to exacting standards and are also covered by our 12 month warranty. MK4 Golf 1998 - 2006. Caddy 2004 - Onwards. A1 2011 - Onwards. This handle is situated on the side of the front seat used to release the seat so it can be tilted forward for access to the rear. Compatible with the following where fitted. AUDI A4 B7 (SALOON) 2004 - 2007. FITS FOR: AUDI A4 B7 2004 - 2007. NEW STEERING COLUMN SWITCH WIPERS ONBOARD COMPUTER. Parts are HIGH QUALITY. Nr OE: 4F1927225A. Item: handbrake button. Audi A6 C6. Production year: 2004-2010. But we haven't influence and don't take responsibility for them. To other countries we can also send, but this costs will be different and to avoid misunderstandings You should ask about them before You buy. Applicable models: Audi A6L C6 Q7 S6 S8. Note: Light shooting and different displays may cause the color of the item in the picture a little different from the real thing. Material: plastic. OEM NUMBER: 4B0959851B. AUDI A6 C5 1997 - 2005. FITS FOR: AUDI A6 C5 1997 - 2005. NEW WINDOW REGULATION SWITCH DRIVER SIDE. Parts are HIGH QUALITY.